Dog training is meant to be fun! It’s an activity that you and your dog can do together that will improve your dog’s behaviour, as well as improve the bond between the two of you. However, it can also be very frustrating to work with your dog and not see the results that you want. Well-meaning pet owners can sometimes impede their dog training efforts by making a few common mistakes in their training sessions. Avoid these mistakes and you will have a much easier time accomplishing your training goals! Humans are a very verbal species; talking is the main way that we communicate with each other. If we feel like we are not being understood by another person, we generally repeat our point. The problem with repeating cues when talking to your dog is that you can inadvertently teach him to ignore you. You say a cue, and your dog doesn’t respond because he’s distracted, hasn’t practiced enough, or isn’t motivated enough. You repeat the cue a few more times and your dog eventually guesses correctly. If this happens consistently, your dog is going to assume that you don’t really want him to do something until the third or fourth time that you ask. In dog training, this is called “lumping.” Lumping is when we skip over reinforcing the small steps in the training progression and just focus on reinforcing the “big picture” behaviour at the end. Unfortunately, dogs can’t read our minds and skipping the small steps can make the training process pretty confusing for them. Do your best to resist the urge to assume your dog understands the little steps. It does take a little more time in the beginning, but you will be rewarded with a dog that completely understands what you want in the end. 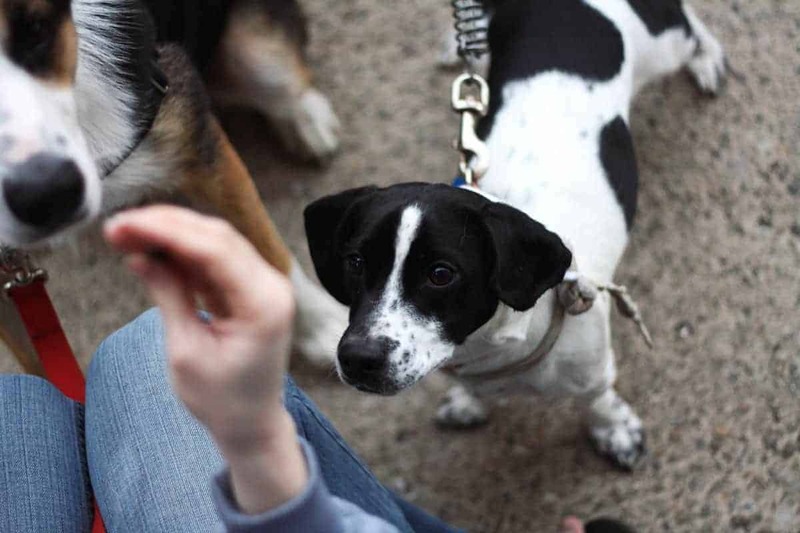 This is perhaps the biggest mistake that you could make while training your dog. Your dog is looking to you to tell him which behaviours will be reinforced and which ones won’t. If the rules aren’t consistent for him, he’ll probably get confused and you will have a hard time removing behaviours that you don’t like from his repertoire. For example, say your dog has a problem with jumping up on people. Seventy percent of the time, you do a really good job of making sure that your dog keeps his feet on the ground when your guests walk through the front door. However, thirty percent of the time your dog allowed to sprint to the front door and jump all over your guests. Yes, he is practicing good behaviour most of the time. But, jumping on people and running around like a maniac is really fun! Without consistent reinforcement of polite greetings, your dog is likely to always try and jump when a new person comes for a visit. It’s really reinforcing for the human end of the leash to see your dog do well in a training session. Your hard work is paying off, and that’s great! It makes a lot of us want to keep training, which is ok as long as your dog is still enjoying the session too. Training requires a lot of mental energy and focus for your dog and there will come a point when he gets tired. If you ask him to continue working after that point, there’s a good chance that your dog will lose his enthusiasm for the task at hand and may end up offering sloppier and sloppier responses. It’s better to quit while you’re ahead and your dog is still giving you really enthusiastic responses. You can always do another session later! Not all dog treats and toys are created equal. Each dog has his own preference and part of the training process is figuring out what he likes. This is important because if you can find something that your dog finds really reinforcing, then he will probably work a lot harder while training for the opportunity to have that treat/toy when he’s done. Choosing the right kind of reinforcement will also depend on what behaviours you are working on. Using food reinforcers is a great way to work on calm, stationary behaviours like Stay or Settle on a Mat. Using toys as reinforcers is an easy way to help your dog put some more energy and enthusiasm into the training session. For example, toys are great tools when training a recall because generally we want the dog to be rushing back as fast as he can when recalled! 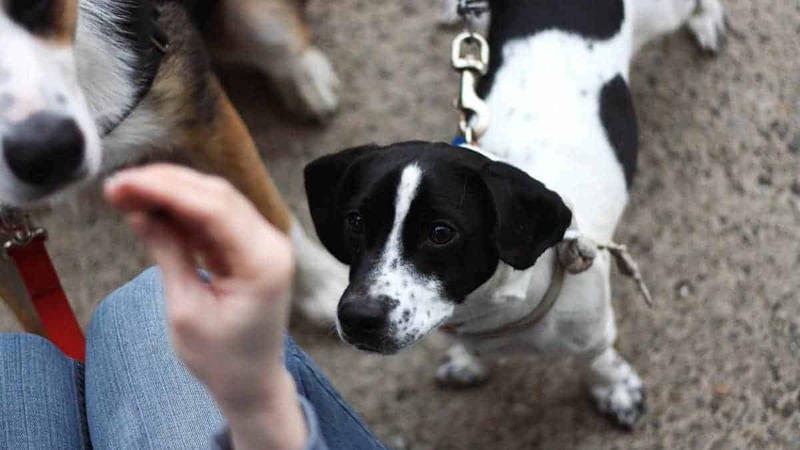 It’s also important to note that just because your dog likes a particular treat or toy at home doesn’t mean that it will be motivating enough to work for at the park. Bring some different options with you when it’s time to bring your training sessions some place new!